Release Date: April 14th, 2006 (Village East Cinemas) by Arclight Films. The Cast: Maria Bello, Rip Torn, Mary Stuart Masterson, Chris O'Donnell, Tony Goldwyn, Erika Christensen, Elizabeth Banks, Gary Sokol, Alessandro Nivola. Directed by Arthur Allan Seidelman. BASIC PREMISE: After the death of their father, three sisters battle their familial problems in a university faculty lounge. 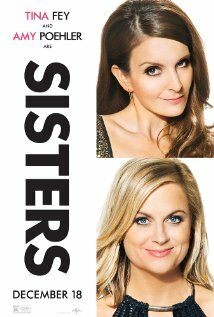 ENTERTAINMENT VALUE: Based on the play Three Sisters by Anton Chekhov, The Sisters doesn’t translate too well into an engaging movie. Mary Stuart Masterson plays Olga, the oldest of the Prior sisters, and her younger sisters Irene and Marcia are played by Erika Christensen and Maria Bello, respectively. All these sisters do is argue and fight, which eventually becomes physical. Screenwriter Richard Alfieri seems to think that characters yelling at one another implies that there’s a conflict going on, but that’s not necessarily true. The main "conflicts" going on include David (O’Donnell) and Eric (Sokol) both fighting over Irene while Andrew (Nivola), the Prior sisters’ brother, must deal with his sisters’ condescending attitude toward his fiancée (Banks). Among all of the shouting and long, stilted speeches, no actress or actor stands out among the ensemble cast. When the film tries to be serious, which is often, it ends up being too melodramatic and even awkward. INSULT TO YOUR INTELLIGENCE: Unfocused, stilted and often boring. IN A NUTSHELL: Over-acted, unfocused with stilted dialogue and not enough real tension.